Facials can subtract years from our skin and give us a bright glow. What if you could get a facial massage that ALSO benefits your entire body? Facial + massage? Count us in! The Lymphatic Facial Massage focuses on stimulating your body’s natural lymphatic drainage system to remove toxins, perk up your immune system, and increase the circulation of white blood cells. How does your lymphatic system work? Toxins, viruses, bacteria etc. are filtered through your lymph nodes. Then, your white blood cells do their job by destroying these harmful unwanted toxins. After, your body drains it all out into the blood stream to be disposed of with all of your other bodily waste. This system of filtering and drainage is vital to our health and well-being. Unfortunately, our lymphatic system doesn’t just work on its own. It depends on things like exercise, breathing, and MASSAGE to aid in the lymph fluids travel. When areas become stagnant or blocked, then symptoms like acne, excess sebum, and blocked pores occur. This results in dull skin, fine lines, and dark circles under the eyes. Whats worse is this also effects our immune system and the body’s ability to fight off illness including cancer. How can the lymphatic facial help? Most of the lymph nodes in your body are located above your waist, behind your ears and around your neck area. The Lymphatic Facial Massage uses precise circular motions and pressure to help drain and move the lymph while eliminating blockages. The massaging and pressure applied to specific areas helps not only with draining, but also with the flow of lymph fluid throughout the entire body. Increased flow and the removal of toxins benefits your skin in texture and contour by flushing excess fluids and removing those toxins we keep talking about! Yes! On top of detoxing, immune boosting, and better skin, there is more! Increased circulation, toning facial muscles, more oxygen to the cells, and improvement in the body’s ability to hand stress. Best of all? ENDORPHIN RELEASE! Let go of all that stress mucking up your beautiful face. Get a Lymphatic Facial Massage and leave feeling and looking amazing. 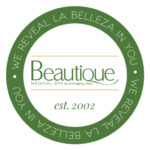 We are always researching the very best products and services here at Beautique Medical Spa which is why we are so excited to offer this amazing treatment. To request a consultation and find out what services can be combined with a Lymphatic Facial Massage to maximize results, call our office at (956) 664-1234. Or if you are super excited to feel and look great, BOOK YOUR APPOINTMENT now. We cant wait to help!